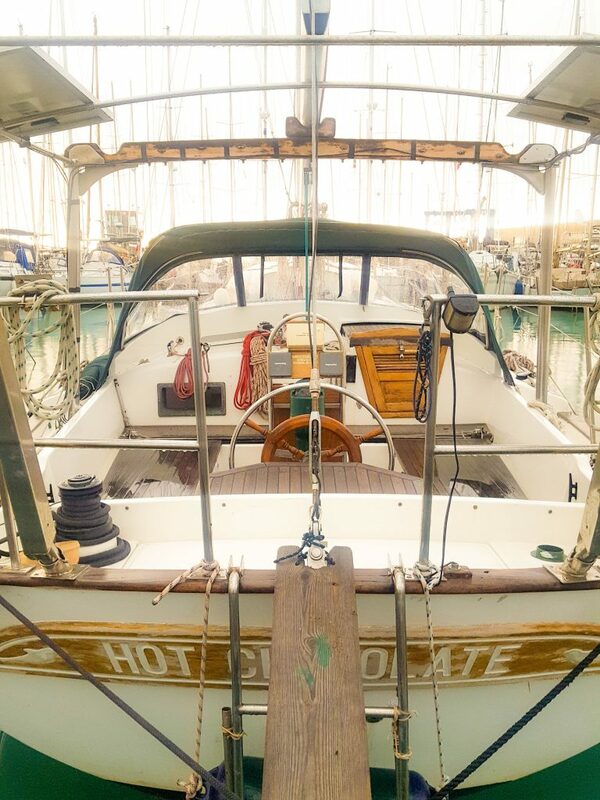 There is nothing that will pick up cold, damp spirits more than a rich, indulgent cup of hot chocolate while sailing, so I’m posting my fail proof hot chocolate recipe for sailing. 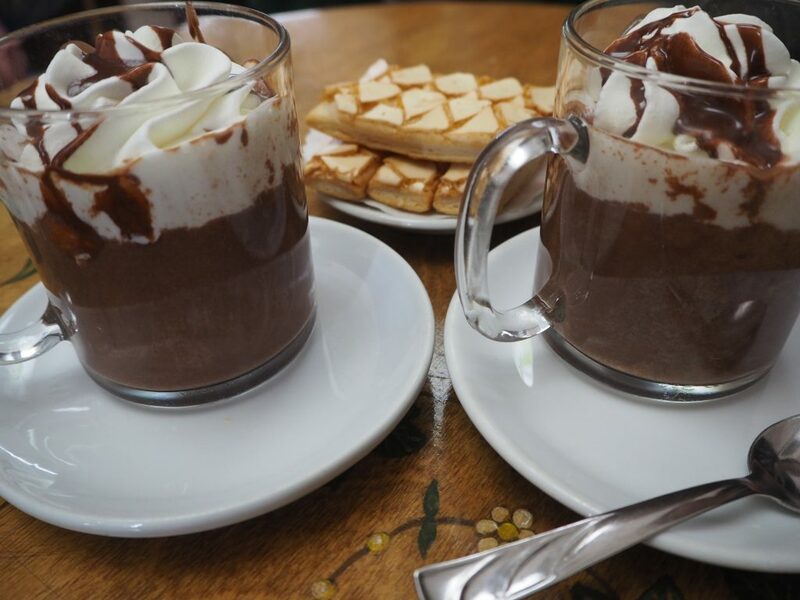 On SV Hot Chocolate we know better than most how that warm, rich pudding in a mug is comforting, full of the energy you need when sailing, and just plain delicious! So I thought I would share my tips and tricks for getting that perfect warm mug of hot chocolate while on the move. 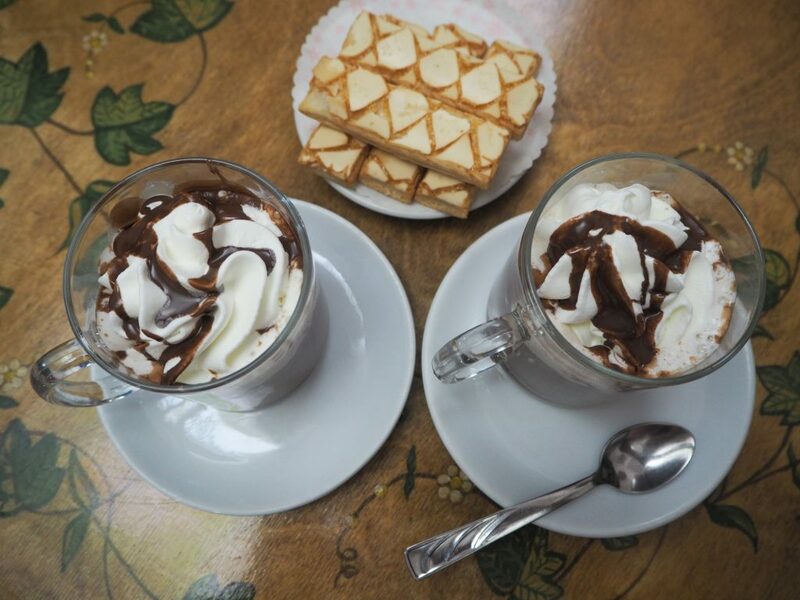 First, a few things to consider when making this hot chocolate recipe for sailing. If you’re doing a longer passage then making a flask is pointless. But prepping still isn’t. Make sure you have all the ingredients to hand. Use a tupperware pot to mix the dry ingredients together before you set off-but don’t forget to label it! Make that ‘hot’ chocolate a warm one for me! Especially if you have kids on board. Boiling drinks on a bumpy ride only lead to one thing-burns. So before you do anything with your hot hot chocolate, make sure you’ve added enough cold water or milk for it to be warm chocolate instead. That way you don’t have to wait for it to cool down either, instant satisfaction! Add cream and chocolate sauce for real indulgence! There are a few substitutions you can make to this hot chocolate recipe for sailing if you have access to the ingredients (I won’t judge you for reaching for that jar of ‘options’ either!) I’ve found that other countries don’t have the same array of instant hot chocolate that we have in England, so I use this fail proof recipe with long lasting ingredients that you should be able to find almost anywhere! Follow my tips above to prep your ingredients. Mix together the cocoa powder and sugar, already measured out. Break up the chocolate into small chunks, or for a super speedy mug of hot chocolate, pre-grate it and mix with the rest of the ingredients. In a saucepan bring 500ml water, the sugar and the cocoa powder, (and grated chocolate if you’ve been super organised!) to a simmer for two minutes. Add the chocolate chunks if you haven’t already and stir until it has melted. Remember-If you’re serving straight into a mug don’t forget to add some cold water or milk. Now all that’s left to do is relax and enjoy! You can thank me later!